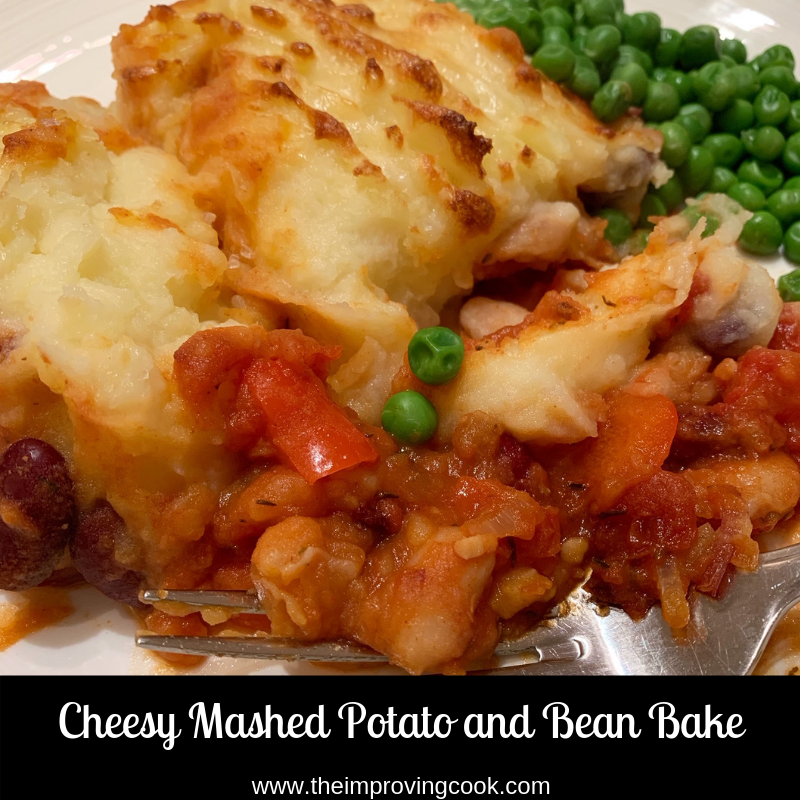 Cheesy Mashed Potato and Bean Bake- this dinner recipe is the ultimate filling, vegetarian, comfort food. 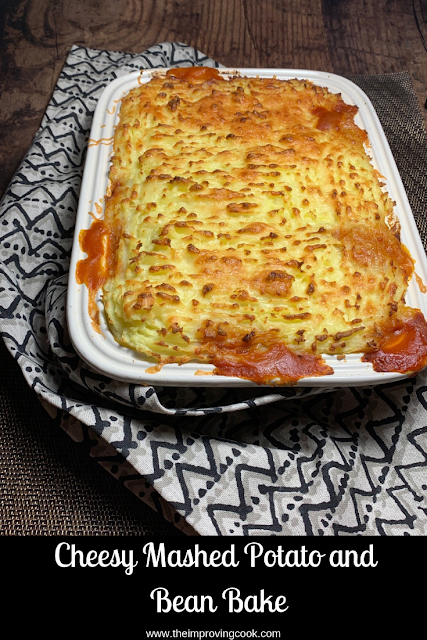 Smoky beans in a tomato and thyme sauce, topped with cheesy mash. 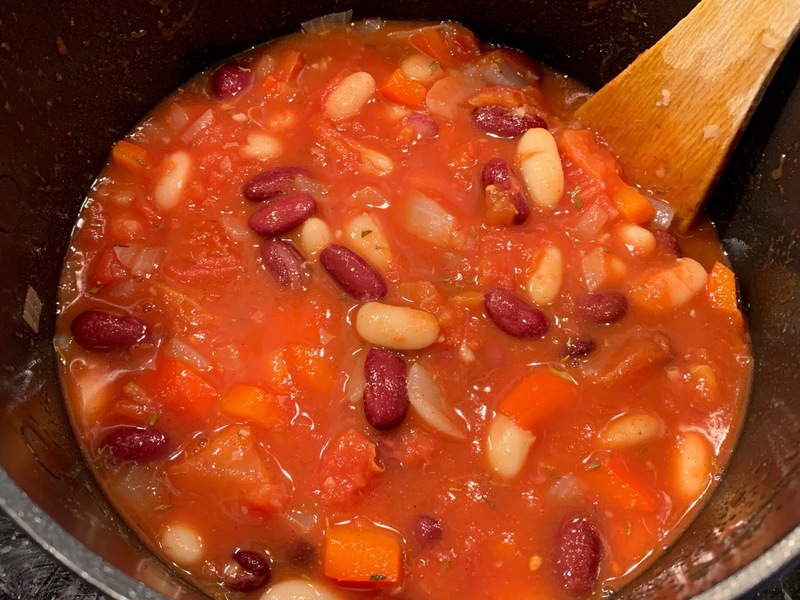 We've developed a real taste for different types of beans since we started 'Meat-Free Mondays' last year. 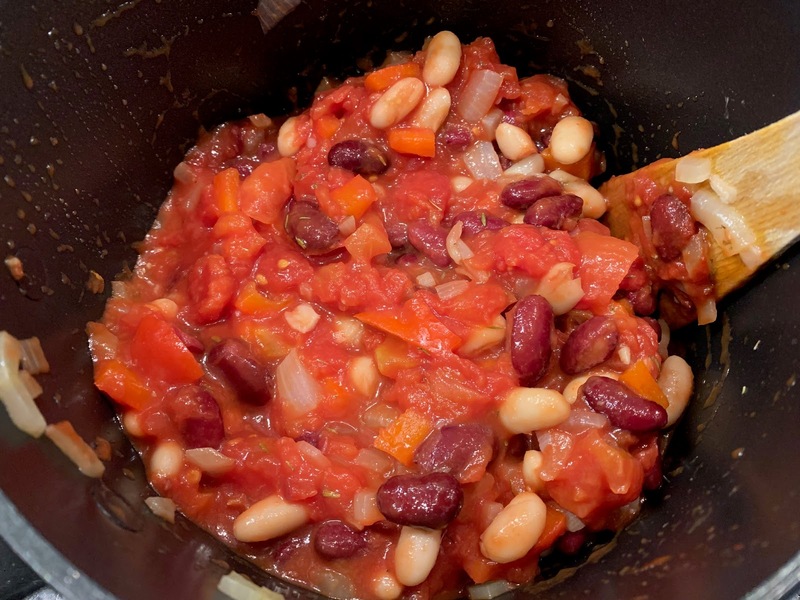 Probably my favourite 'full of beans' meal is Slow Cooker Vegan Chilli but I can't eat that every week, though I could be tempted! This Cheesy Mashed Potato and Bean Bake, uses some of the same ingredients but it's much more of a comfort food dinner, a bit of a vegetarian twist on Shepherd's Pie. 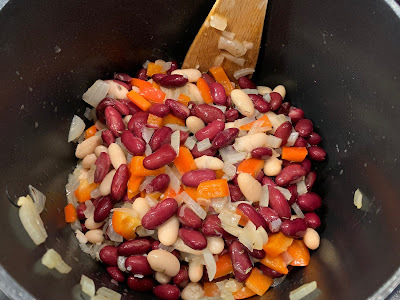 I use cannellini beans and kidney beans for the bean part of the bake. 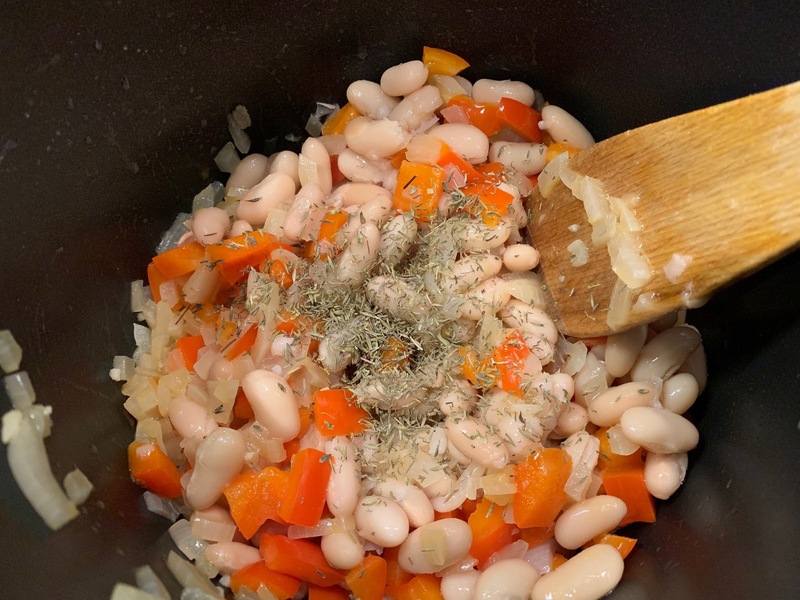 You could easily switch them for your own favourite- haricot, borlotti, your choice. Soften the garlic, onion and red pepper in a saucepan. Add the beans, thyme and smoked paprika. Stir in stock and leave to simmer. Pour bean mixture into a casserole dish. 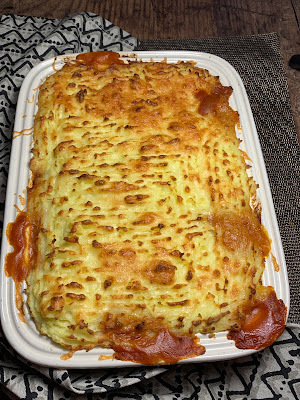 Bake- look at the browned crispy bits of cheesy mash! Pre-heat the oven to 190 (170 fan, gas mark 5). Peel and chop the potatoes into chunks and put in a large pan of water to boil until cooked through. Heat the olive oil in a medium saucepan on medium heat. 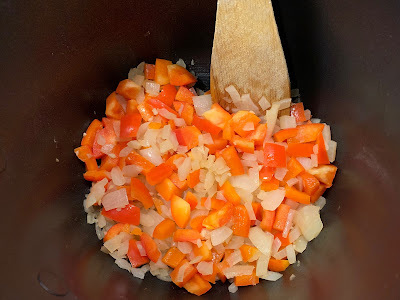 Chop the onion and red pepper into small chunks and add to the oil with the garlic until softened. Add the drained beans, thyme and smoked paprika and stir through. Add the tomato puree, stir through and then add the tinned tomatoes and vegetable stock. Leave to simmer gently for 15 minutes until slightly reduced and beans have softened. Drain the potatoes when cooked and mash with the milk and butter until smooth. 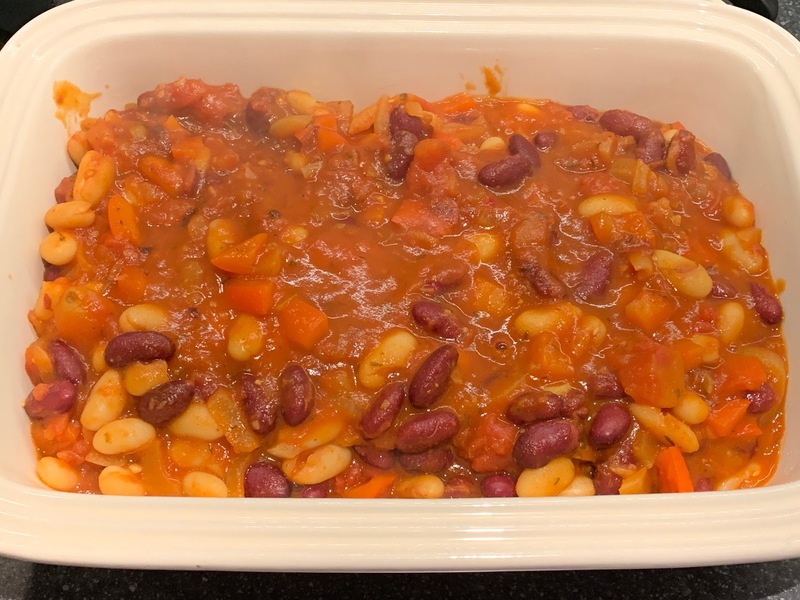 When the bean mixture is ready, pour into a casserole dish and spread evenly. Spoon the mash over the top and gently spread so all the bean mixture is covered. 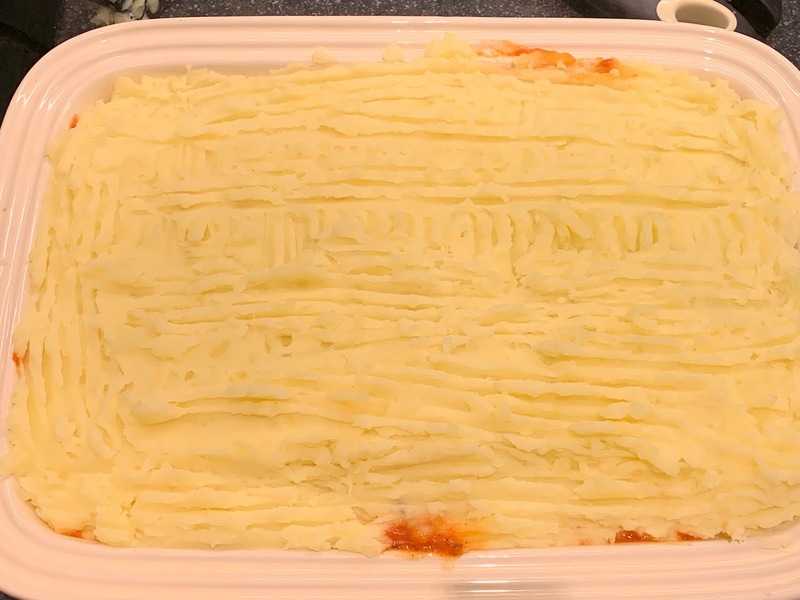 Use a fork to drag lines into the mash so it will crisp a little better. 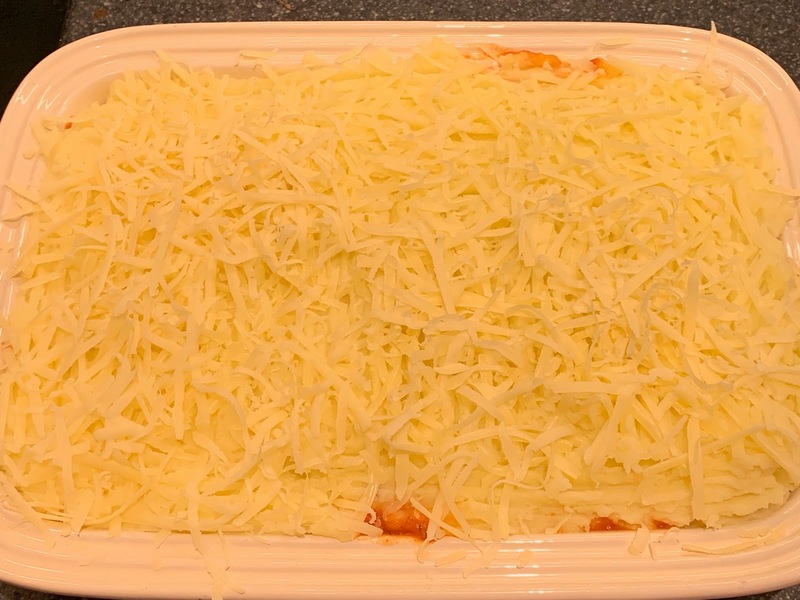 Sprinkle the grated cheddar over the top. Pop into the oven for 20 mins or until the topping is golden and beginning to brown. 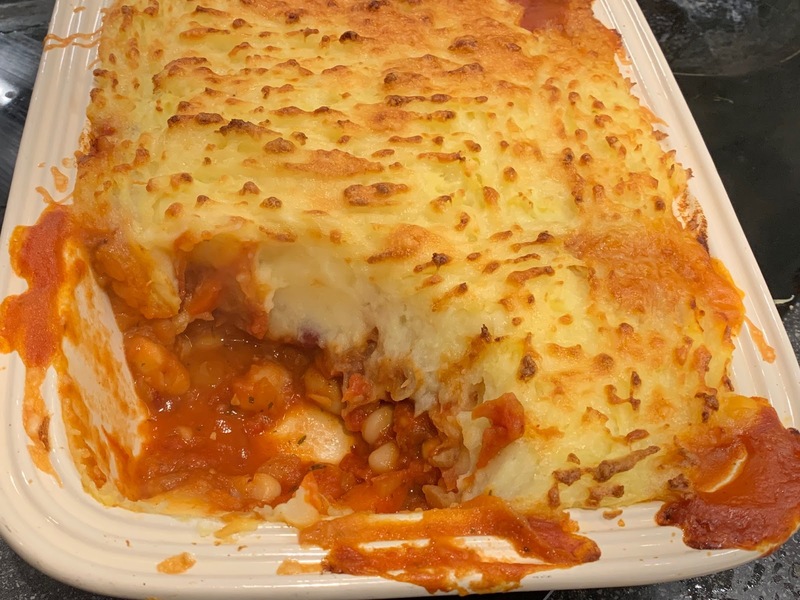 Serve with some green veg. Use more grated cheddar, if you're a big cheese fan. This can be made ahead of time and frozen.